Kurt Busch has agreed to the terms and conditions dictated by NASCAR that he must complete to get reinstated from his suspension. 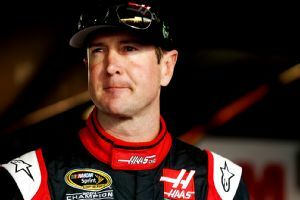 NASCAR spokesman David Higdon said Monday that Busch informed the sanctioning body late last week that he would go through the process. Kurt Busch has been suspended indefinitely by NASCAR, which has not disclosed the terms of his reinstatement. Higdon would not reveal details of the terms and conditions, saying that is between the driver and the “expert facilitator” of the program. He said there is no timetable for the Stewart-Haas Racing driver to complete the program. Busch’s attorney, Rusty Hardin, confirmed that his client agreed to NASCAR’s terms but had no additional comment. Busch was suspended indefinitely on Feb. 20, two days before the Daytona 500, after a Kent County (Del.) Family Court commissioner released his findings that Busch had committed an act of domestic violence Sept. 26 against his ex-girlfriend, Patricia Driscoll. Busch lost both of his appeals of the suspension Feb. 21, first to a three-member NASCAR appeals panel and then to NASCAR Final Appeals Officer Bryan Moss. Commissioner David Jones found that the evidence showed Busch had put his left hand on Driscoll’s neck and his right hand on her chin and face, causing her head to forcefully hit the wall of his motorhome. Busch testified at the family court hearing on a protective order sought by Driscoll that he cupped her face with his hands and repeatedly told her to leave. The couple had broken up a week earlier, and Busch said she came into his motorhome uninvited. The Delaware attorney general’s office has not yet announced whether it will press charges in the case. Regan Smith, who has replaced Busch for the first two races of the season, once again will drive the SHR No. 41 car in this weekend’s race at Las Vegas. If Busch wants to get back in the car, his only other option than to follow NASCAR’s terms and conditions is to file a lawsuit against NASCAR and seek an injunction.